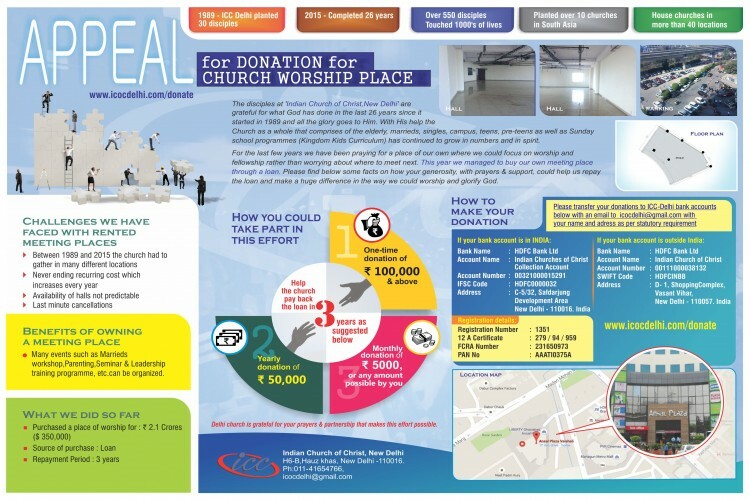 Appeal for donation for the Church Hall. What are we asking ? We are a Church that calls people to actually practice what the Bible says (Book of John Chapter 14 verse 15, The Bible). 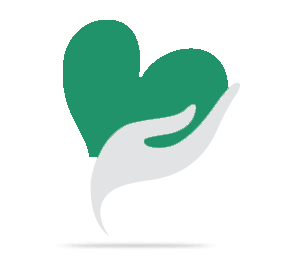 We are known as the Indian Church of Christ in Delhi and are a non-denominational church. Why do we need a Church Hall ? 2) We believe that renting is not a good use of our limited resources . If planned well, the same resources could be used for multiple outcomes. E.g - When we have our own hall, we can have more meetings during the week. This helps the community and also saves costs. 3) The Hall itself can become a means for resource mobilisation. When we are not using the Hall, we could offer it for others to use. What will the Hall be used for ? d) Workshops for pre-teens, teens and campus students on developing a productive life. We completed 27 years of our presence in Delhi & North India. In the last 27 years, we have grown steadily in number and in spirit. Our congregation has grown from 30 to 500 and our services and programs have expanded from Sunday worship and Wednesday devotionals to include bible discussion/ talk at the homes of Christians at over 40 locations throughout the city of Delhi and also specialized meetings for marrieds , singles and teens as well as Sunday school programs. In these years, we have seen each of our members grow in their knowledge of the Word of God and in making a living faith in Christ, a way of life. In the last 27 years, we have moved many locations to hold our church services and programs. As you well know, such rented spaces come with various inconveniences. Many times our facility bookings have been cancelled at the last minute forcing us to meet in open parks. Since February to April of this year we have been meeting in open park on sundays for our worship due to non availability of a meeting hall . Many facilities do not rent out to us because we are a religious NGO. However, we would surely be able to do far more with more space designed to our need and belonging entirely to us as a congregation. Thank you for your generosity in considering to help. Your share could be as good as a donation for Indian Church of Christ! Not everyone can afford to take care of their loved ones. Indian Church of Christ's life can only be saved by donations made by kind people like you.